According to sources familiar with the matter, the XR1 system on a chip will handle central and graphics processing, security, and artificial intelligence functions. The chip is designed to be powerful enough to handle AR and VR experiences yet maintain energy efficiency at a lower cost. 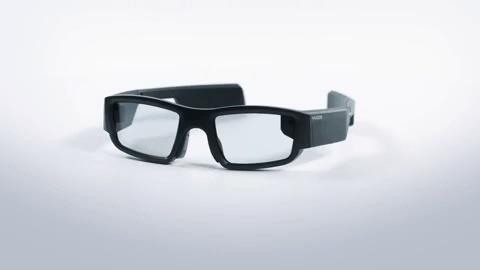 The same sources have connected the chip to the HTC Vive and AR headsets from Vuzix, which plans to release its Blade smartglasses this year. Another report surfaced last week that indicated that Google is working Qualcomm and manufacturer Quanta on an AR headset similar to the HoloLens. While the headset, codenamed Google A65, is said to be powered by the Snapdragon QC603, the report also mentions "SXR1" as being connected to the project. With today's report, it appears that Google's headset might line up with Snapdragon's dedicated chipset. Since smartglasses are expected to replace smartphones as our personal computing devices in the coming years, Qualcomm stands to lose a major revenue stream unless it gets into the wearable AR device game. AR and VR headsets would be a natural evolution of the company's competencies in designing chips for mobile devices that are powerful yet energy efficient. We'll likely know more about Qualcomm's plans sometime next week.